UPDATED: Mon., Nov. 19, 2018, 11:24 a.m.
A body was discovered Saturday afternoon a few miles away from Levi’s Stadium in Santa Clara, California, where a U.S. Army veteran from Spokane disappeared during a football game, according to ABC News. 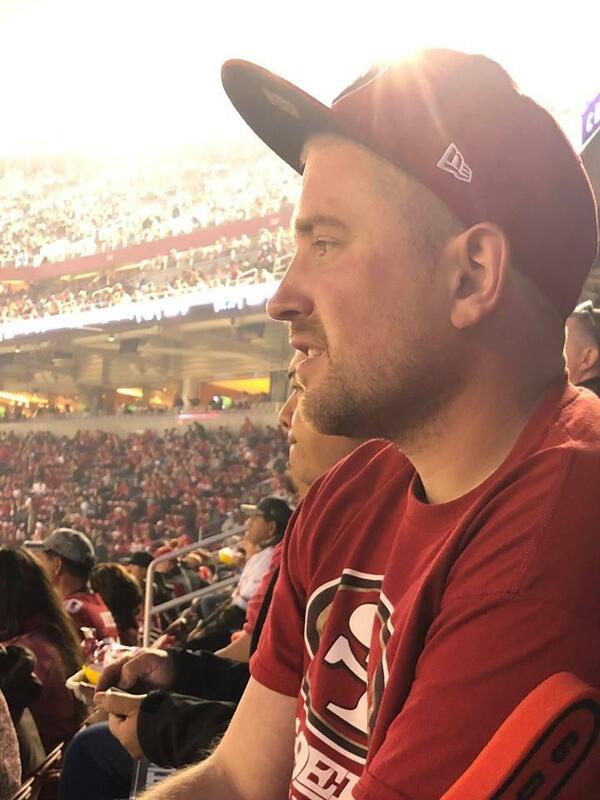 The Santa Clara and San Jose police departments have been searching for Ian Powers, 32, since he was separated from his girlfriend and her children during a New York Giants and San Francisco 49ers game on Nov. 12. Initial efforts to search by helicopter were stymied by smoke from area wildfires. Fishermen discovered the body of a fully-clothed man in the water about a mile from a marina in the area of the stadium, police told local TV station KGO-TV. The Santa Clara County medical examiner will conduct an autopsy to verify the identity of the body and determine cause of death. Surveillance cameras show Powers, a 49ers fan, walking out of Levi’s Stadium a few minutes before 9 p.m. during the fourth quarter. The cameras loses sight of him in the parking lot at 9:03 p.m. His girlfriend, Chelsea Robbins, told authorities she had video chatted with Powers to set up a place for them to meet. However, some of the responses Powers sent “weren’t very reasonable or didn’t make sense,” according to a Santa Clara police captain. The body was discovered more than two miles from the stadium. The Santa Clara Police Department is investigating Power’s disappearance as suspicious. Powers attended Shadle Park High School and served time in the Washington Army National Guard. He was previously employed at Hotstart Inc., an engine heating company in Spokane Valley. Published: Nov. 18, 2018, 2:48 p.m. Updated: Nov. 19, 2018, 11:24 a.m.